Safety is important when maneuvering slippery, wet surfaces. 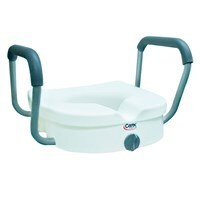 Prevent accidents in the shower and bathroom by using this bariatric bathtub transfer bench. 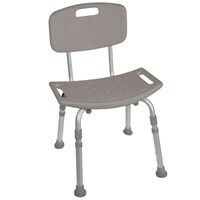 The bench features a sturdy 1 thick aluminum frame, a durable blow-molded plastic bench and backrest. Completely adjustable with non-slip tips. Weight capacity 300 lbs. Sorry, but due to health reasons this product is non-returnable. 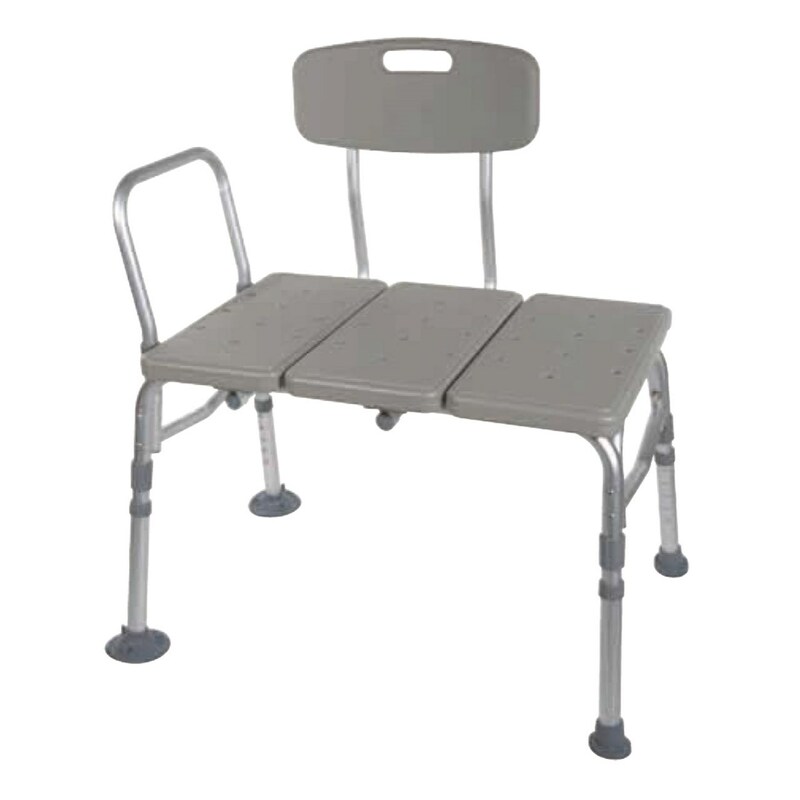 Measurements: Width (outside legs) 27, Seat Width: 25.5, Depth (outside legs): 18, Seat Depth: 18, Seat Height (highest and lowest): 20 - 16, Item Weight: 7.5 lbs.